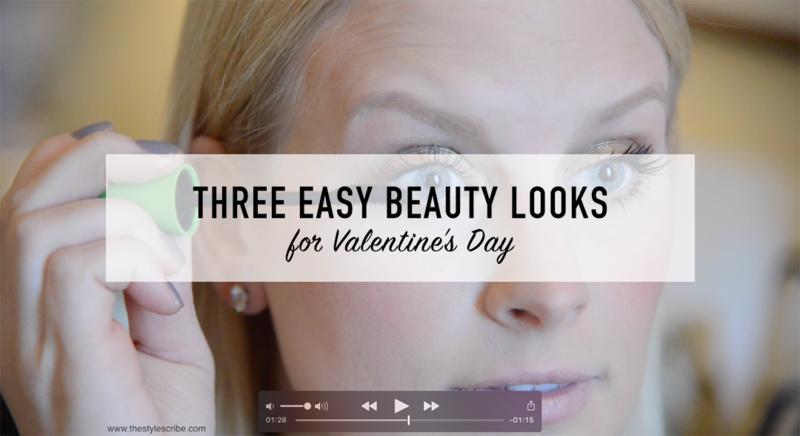 This time, I’m doing a makeup tutorial for three gorgeous (and easy!) beauty looks for Valentine’s Day! Click here to check out this latest video – remember, you can always click “Show More” below the video on YouTube to shop all the products featured. You can also hop back over to this page to shop the products below. I can’t wait to hear what y’all think about my second video attempt – would love to hear from you! Feel free to email me, tweet me, or Snap me (@merrittbeck) your comments, suggestions or questions. Thanks y’all!! You need to teach me your winged eyeliner ways! Loved it! All of the looks are great. I can’t wait to try them. I am seriously challenged when it comes to liquid eyeliner but you make it look so easy! I totally want to try that cat eye! You are such natural for these videos! Love it, Mer. Your videos are so well done – you are a natural on camera!! Thank you for sharing these awesome tutorials! You make it look so easy! These are all wonderful and great for people who don’t have the time to go into a very difficult makeup look or are beginners :) Thank you for sharing!